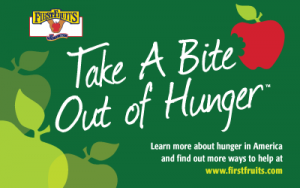 At FirstFruits Marketing, we have developed several programs to execute at retail including marketing support with high graphic point of sale materials, content, ad slicks and social media support. 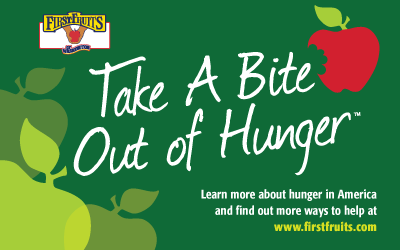 At the culmination of the program, FirstFruits Marketing makes fresh apple donations in the retailers’ names to local food banks. High graphic bags, merchandising bins, 22” x 28” stanchion signs and 11” x 7” sign cards are available. 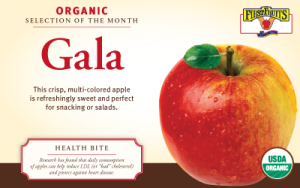 Opal, the apple with a purpose, is available in limited quantities. Full marketing support is available including high-graphic packaging and point-of-sale materials. High graphic merchandising wraps, cartons, 22” x 28” stanchion signs and 11” x 7” sign cards are available. 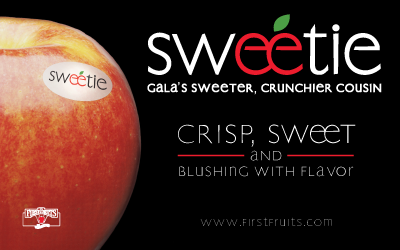 Sweetie™, Gala’s sweeter, crunchier cousin, is available exclusively from FirstFruits Marketing. 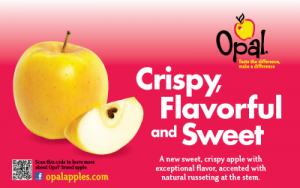 Sweetie apples are highlighted by a sweet taste and firm texture. Their beautiful red color is accented by golden cheeks. Full marketing support is available including high-graphic packaging and point-of-sale materials. The organic apple of the month program highlights a different apple each month, from Gala to Granny Smith. High-graphic merchandising bins are available with an interchangeable signage header accommodating 11” x 7” rotating variety sign cards.